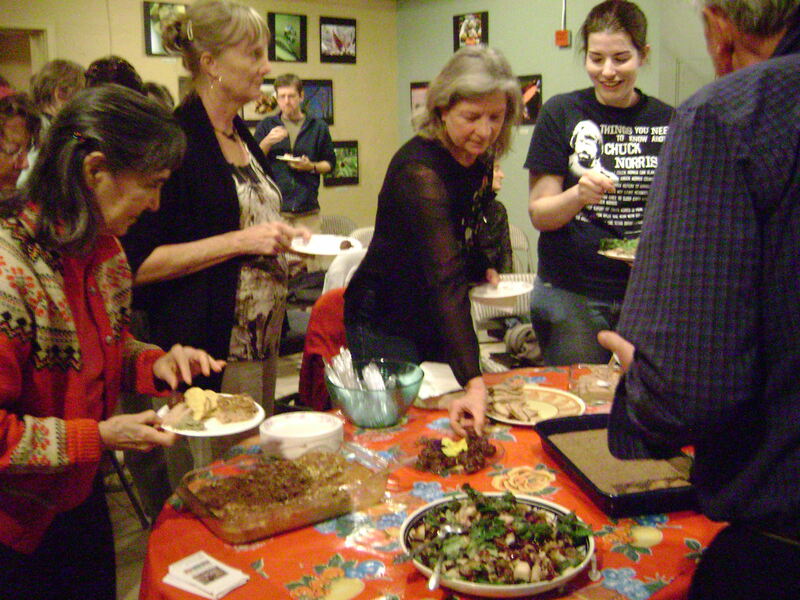 Sampling delicious foods at the Native Seeds/SEARCH demonstration this week. On January 16, Janet Taylor, author of The Healthy Southwest Cookbook, and I shared the stage at the monthly Native Seeds/ SEARCH salon, demonstrating how to cook some of the healthy bounty sold in the store. I made a yummy prickly pear salad dressing with walnut oil, raspberry vinegar and prickly pear syrup. Perfect over a salad of greens, winter pears, red grapes and walnuts. I also demonstrated a snack I call Aztec Delight, after reading in a book called Chia how the Aztecs combined ground amaranth and chia seeds and moistened the mixture with black maguey syrup. I figured that modern agave syrup would do, and it is indeed delicious. 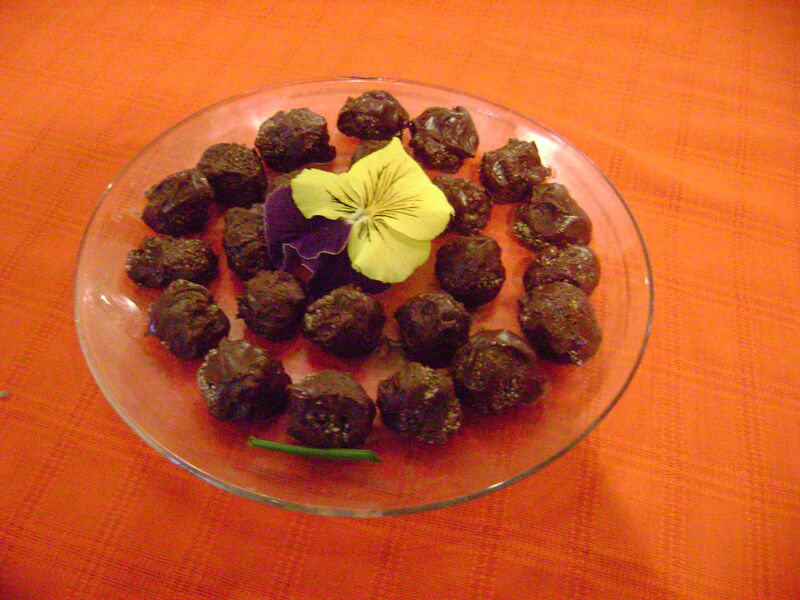 Not leaving well enough alone, I rolled the balls in melted semisweet chocolate (that’s Aztec, too!) Janet cooked teparies and blue cornbread and spoke about their health properties. After the talks, we treated our guests to a real feast. Got other great views from this report Southwest Foods: Wild Desert Party Carolyn's Southwest Kitchen . Thank you for taking the time to provide those ideas.